So let me preface this review with a couple of notes. First I’m not a professional reviewer, work for Emotiva, or a scientist. I’m not using scientific measurements, only my subjectivity. I listened to cds that I am very familiar with and have been listening to for years. I used a YBA CD2 as the trasport/dac, a Meitner PA6 as the preamp, Cardas neutral reference cable, and JM Lab Focal Electra 905 speakers. The XPA 2 bests the Meitner STR50 I have owned for 6+ years in many ways. Dynamics have much more impact. I have never heard the bass like that before. The bass was also more distinct and more coherent, not heavy but right. The highs were not harsh at all like I experienced from time to time with the Meitner. Also, the recordings I listened to had new life in them and sounded very exciting. Some cymbal crashes were startling and I actually said “wow”. The Meitner always sounded very lifeless to me in comparison. Also, the speakers seemed ‘faster’, or had a better tempo, with that extra power – they could reproduce sounds more quickly. The decay was also more satisfying. It has more viceral impact and is less laid back than the Meitner. The soundstage widened and the instruments were very well placed left to right with a nice front to back stage as well. All the sounds were separate from each other and placed in their distinct places. The imaging was fantastic with voices dead anchored in the center. The Meitner was more washed out and blurred where the XPA was unwavering. All sounds were in the space they should be without any muddiness. There seemed to be greater resolution, detail, and separation with the cds I played. Overall, I’d have to say that the XPA 2 is downright exciting. It is neutral and does not color what I was listening to. It has a low noise floor and ran silently. It has injected new interest in my music library! I highly recommend it. 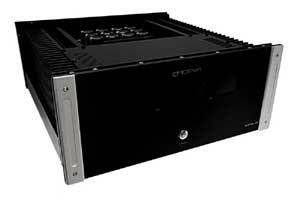 I have listened to Classe, Krell, Bryston, amongst others and the XPA 2 comes mighty close to that level of SQ. It has power to explore the depths of any music and yet maintain an intricate feeling of detail even when there are complex musical passages. The XPA 2 is downright frightening with HT. I ran my NHTs full range to experiment and wow, what an incredible difference. The bass from that amp is staggering. It added so much visceral impact to the experience, not to mention detail. There wasn’t a hint of strain, or harshness with any of the material. The sound quality is excellent. The Emotiva’s neutrality speaks for itself. The XPA 2 is definitely a keeper. Top Ranked Products from Emotiva.